The EU Commission also wants to ban neonicotinoids in beet cultivation, although beet do not flower and therefore transfer of the substance to bees cannot take place. If sugar beet farming dies in this way, only the import of sugar from uncontrollable, non-European sources remains. Bees are not helped, thousands of farmers are threatened. Vienna, April 17, 2018 - One might think environmental protection organizations such as Global 2000 or Greenpeace have taken power over the European Commission. 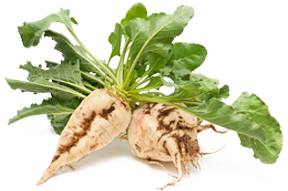 With massive lobbying it has now been achieved that with the ban on neonicotinoids there should be no exception for the cultivation of sugar beets. "It obviously cannot be discussed technically anymore. The door is closing for domestic sugar, while that for GM products from overseas remains open" says Ernst Karpfinger, President of the association DIE RÜBENBAUERN. Local beet cultivation works with minimal amounts of neonicotinoids. The active substance is incorporated into the pelleted seed, which is coated with a protective layer and then deposited in the soil. Bees never get near the plant protection product because the sugar beet does not flower. So it does not help pollinators if the EU Commission rules out the exception for sugar beet. Only sugar beet cultivation in Europe dies. The EU Commission's (proposed) ban on neonicotinoids is based on a study by the European Food Safety Authority (EFSA). In this study, three pathways were investigated for their effect on bees, namely residues in bee pollen and nectar, dust drift during sowing of treated seeds and water intake. However, none of these applies to the sugar beet. The extent to which organizations such as Global 2000 or Greenpeace apparently intervene in Brussels is shown by the fact that an expert meeting planned for May has been brought forward by the European Commission and that the decisions against the European farmers should be taken in April in a fast track process. These organizations do not need to justify their claims rationally, but operate on knock-out arguments, such as "bee killers," although they should know that bees are unaffected by beet cultivation. The NGOs like to present themselves in public as the protectors of society against the allegedly oh so powerful agribusiness lobbyists in the EU Commission. It seems, however, that it is the other way around, namely that the NGOs meanwhile have the power and ability to massively influence public and thus political opinion. Technical arguments can no longer prevail against their scare tactics and partially exaggerated positions. The consequences of a ban on the use of neonicotinoids in the cultivation of sugar beet would be the need for massive, cost-intensive replacement measures in beet cultivation in future to control pests. However, because production costs are higher than revenues in the current poor market conditions, farmers will no longer be able to afford such measures. The beet cultivation in Austria is threatened and thus approximately 6,000 farmers and their families. Thousands of jobs in the sugar industry and in the upstream and downstream sectors are also at stake. The bees are not helped, but enormous damage is done to people by thoughtlessness. Ernst Karpfinger adds: "With the disappearance of local beet cultivation, our consumers become dependent on imports from countries over whose environmental protection conditions neither the EU Commission nor the NGOs have the slightest influence. Products that have been manufactured using massive spray application and genetic modification on huge monocultures will then land on our tables. Regional products and family farms will then be history." The beet growers are surprised that Federal Minister Köstinger now classifies the use of neonicotinoids in sugar beet as dangerous for bees. "If the beet production is recklessly endangered by this ban, then in return the additional costs and the high risk of crop failure must be compensated financially", demands Karpfinger from Minister Köstinger for the beet grower families concerned.